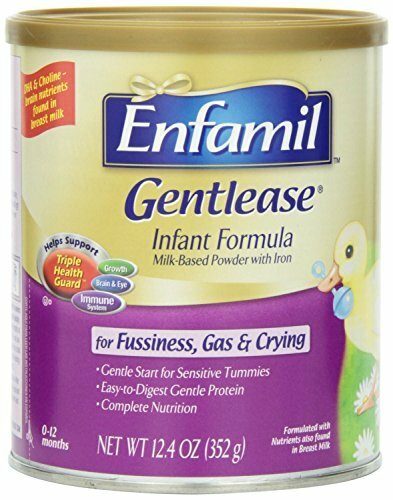 Enfamil Gentlease Infant Formula provides a gentle start for sensitive tummies. It's designed to have easy-to-digest proteins & eases fussiness, gas, and crying in just 24 hours. Gentlease also has nutrients like choline and DHA brain-nourishing nutrition that's important for your baby during the first 12 months. Compared to the same infants who had been fed routine Infant Formula at the beginning of the study.